The SummerHouse 2017 Gift Guide is HERE! This is something we have loved putting together each year for the past several years, and 2017 was no different! We have rounded up some of our favorite “gifty” items to share with you in hopes of inspiring your gift giving this year! Come see us at either location, or visit our shop online, to see these pretties PLUS MORE! Without any further delay, here are our picks! Come shop IN STORE for many more items to choose from! Thank you so much for stopping by today. We look forward to helping you make this Christmas extra great! We have a new book in the shop that leaves us absolutely smitten. This new book, called 30A Living, is compiled by talented duo Lynn Nesmith and Jean Allsopp, and highlights the beauty and charm of the magnificent strip of Florida beach towns known as 30A. The homes in these beach towns are as equally magnificent as the beaches on which they are nestled. We got to chat with both Lynn and Jean about how this book came together and learned so much! Writer Lynn and photographer Jean found each other when they worked together at Southern Living earlier in their careers and have continued a friendship from there. We are so glad they remained friends and started putting books together because their books are GORGEOUS! 30A Living is a follow up to 30A Style, which was a book that was so popular, it got reprinted three times and sold out every time. Because of the success of 30A Style, 30A Living just seemed like a natural follow-up. Same beach towns, same staff, but larger format, different homes, and more pages! “We wanted all of the various 30A communities to be represented, as well as a variety of styles. Contemporary, cottagey, traditional. I like the mix that ended up in the book,” says Lynn. “The biggest challenge with this book was choosing which photos to include to have the best mix of styles,” Jean adds. It is a joy to us to flip through each page of this book, one by one, devouring the stunning detail of each of the featured homes. Jean and Lynn, y’all did a BEAUTIFUL job! Every word and every photo are top notch! As you might have noticed from social media and from our web store, we have a new local potter represented at SummerHouse and we are EXCITED! Our friend April Shelby Crowell, the mastermind behind A. Shelby Pottery, was kind enough to take the time to answer a few questions for us so we could all get to know her better! Lisa and Marty fell in love with her pottery at our Lee Loves Local event (along with Traditional Home Magazine, in which she was just featured!) and it’s been true love ever since. Let’s get on with our chat with April! Tell us a little about yourself, please ma’am! I grew up in Florence, MS with my parents and older brother. I’m really fond of that small town childhood! I’ve always had a passion for the arts and my parents have always been super supportive of that. Now I live in Flowood with my husband, Jon Richard. He is the best encourager, and his let’s-make-it-happen attitude is one of my biggest inspirations. And we’re pretty obsessed with our dog, Potter. Yes, we named him after my profession! How long have you been creating pottery? I took my first pottery class in the first semester of my freshman year of college (2008), and seriously I was in love with it before class even started! I continued to take pottery classes all throughout college, graduated from Miss. State University in 2013 with a BFA, emphasis in ceramics, and have been making pottery on my own ever since! What inspires your style? It’s so fun and different! That’s a tough one because I’m inspired by so much. Specifically, this Gold Collection came to life from my love for handmade, functional objects mixed with the simple, chic style I admire in interior design and home decor. I feel like in our area when people think “pottery” they think “country” or “rustic.” While I do admire and appreciate that look, it just isn’t my personal style. So I started to create these minimalist forms using a monotone color scheme. Even though I am my own worst critic, I really liked the pottery I was making so I just rolled with it! What is your favorite thing about creating pottery? Again, so many inspirations and so many reasons why. I just love the whole process of working with my hands to make stuff. Anything, really! I just stick with clay most of the time! It’s crafty and challenging. Pottery is a long process so when products are finally complete it’s really quite satisfying! What else do we need to know about you and your pottery?! Recently someone told me, “I see your pottery when I walk into my living room and it just makes me so happy.” I don’t say that to sound boastful, I say it because that’s one of the many reasons I love doing what I do. If my pottery makes someone happy then I’m happy too. When you purchase a piece of A. Shelby Pottery you’re not just picking up any ordinary object off the shelf, you’re getting a piece of art that is very special to me because a lot of time and craftsmanship goes into each piece. I hope you enjoy my pottery just as much as I enjoy making it for you! Be sure to stop by either SummerHouse location to shop April’s work, or you can check some of it out on our web store! We hope you’re having a great week! Our Holiday Shop is now open for business! We have added new items this year (like those vintagey silver bells in the above photo! ), brought back some old favorites, and are ready to serve you and your holiday gift and accessory needs! Here are a few of our newer items as well as a few favorites! See much more HERE! And don’t forget about the special we have going right now on gift cards! Online ONLY, through December 2nd, we’re offering 20% savings on gift cards with the code SHCYBER16! Happy shopping and thanks for stopping by! XO! Our newest line of home scents, MAD et LEN, is hands down one of the most unique lines we carry! MAD et LEN is based in France and is committed to its craft. Their candles are hand poured to order, their signature black metal containers are hand forged, and their scents are beyond divine! These high end, organic scents are absolutely fantastic. We cannot say enough about how much we love this line! Take a look at this beautiful display and come treat yourself by checking it all out in our shop. You will not be sorry! February 11th was our For The Love Of Art event as part of Lee Industries #LeeLovesLocal. Each year, Lee Industries partners with REstyleSOURCE to provide a national guide of their retail partners to show their love of local shopping and we are honored to be one of those retailers. Our event, For The Love Of Art, not only showcased two southern artists – Lauren Barksdale and Michael Clement – but also raised money for the local charity Stewpot Community Services! It was the perfect way to kick off the Valentine’s Day weekend! The showroom was filled with beautiful bites from La Brioche, paintings by Lauren Barksdale, mini “Lindsey” bowls by Michael Clement, and music by Berry Leach. Thank you so much to everyone who came out to shop local and support Stewpot! In case you missed it, we still have a few bowls and paintings in the showroom. Stop by and see us before they are all gone! We hope you guys are having a great week! Today our web store wish list is all about happy home scents! Now that holiday decorations (including candles!) are mostly up and packed away, the post holiday blues might be starting to set in. These candles are here to combat that! Add some freshness to your home with these happy smells! These are some of our absolute favorites! We have a fun new category on our web store created just for your shopping ease this time of year! The items listed in this category are only a fraction of what we have in-store, so come see us for be best selection! But what is online is a pretty good representation! We look forward to helping you get part of your gift list knocked out! Come see us! Give us a call or leave a comment if you see something you want to know more about! We are always happy to help. Thank you so much for stopping by today! Hope your week is off to a great start! We have a brand new shipment of some of the most beautiful gift items we’ve seen in quite some time! We’ve been in love with D.L. & Co.’s candles for a long time now, but they’ve come out with some new ones that we just adore! The scents are just as wonderful as the packaging! We also stocked up on some beautiful diffusers, some more of the old favorites, and some stationery items! Several of the newbies are from the House of Harlow collection, which gets our designers extra excited! Our web store wish list today is all about the color blue! And since it’s been a little gray around here lately with lots of clouds and rain, we find ourselves wishing for some blue skies! Shop all of this (plus so much more) at www.summerhousestyle.com. And follow the links below to get to these specific items! Thanks so much for stopping by- have a great rest of the day! We have some fabulous gifts for your mommy dearest. These are just a few! Shop these online or in the store, but don’t wait too much longer! You only have a few days! 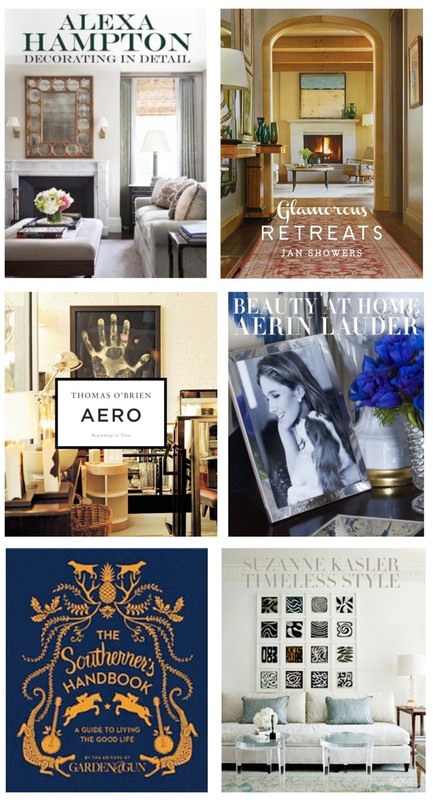 We hope you’re making plans to be at the Suzanne Kasler event on Thursday night! See you then! Thanks for stopping by today! White and gold… It never gets old! 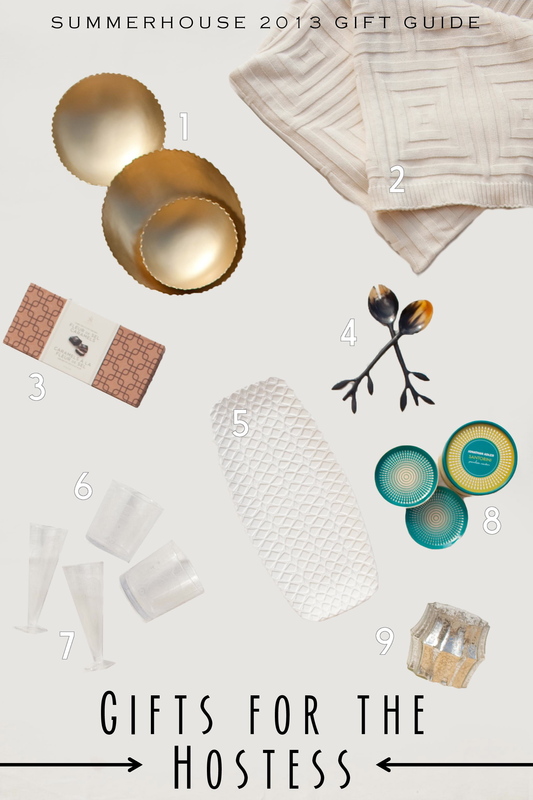 That’s why we thought doing a quick roundup of a few of our favorite white and gold items seemed appropriate for a bright and beautiful golden-sunshine-filled day! Do you love white and gold as much as we do!? Well, it’s officially Valentine’s Day week! Have you gotten all of your gifts for your special somebodies yet? No? Garden & Gun’s The Southerner’s Handbook is always a hit for men and for women! These handmade cosmetics bags are a beautiful way to keep all of your makeup in one stylish place! These adorable porcelain votive holders are only five bucks a piece! Honestly, what woman doesn’t want more jewelry? These easy-to-layer necklaces will mix perfectly with what your lady love already has in her collection of jewels! Original art is an amazing gift because it’s something unique that can be passed down from generation to generation and never lose its value. We’ll have plenty of small pieces, like these lovely little Monet-inspired Dyann Gunter ones, available for purchase at Thursday’s FOR THE LOVE OF ART event! Don’t forget that a percentage of the sales from the event go to benefit the Mississippi Symphony Orchestra! We can make Valentine’s Day shopping very easy for you, so come see us! We’d love to help! Accessories Gifts Holiday Other Sale! Chances are, some of you are still too full from yesterday’s feast that you couldn’t make it out to today’s Bright Friday Sale. It has gone incredibly well. Don’t fret. If you missed out or don’t live in town, we have some great deals online this coming Monday! Don’t forget that we are participating in Small Business Saturday, tomorrow. Just register your American Express card (right here) and spend $10 in the store to get $10 back! Oh yes, you read all that correctly! Have fun shopping y’all! We have a few new books in stock with which we are so in love! A few of our favorite ones are not only available in our store but also on our web store! Check them out! It is not too early to begin Christmas shopping, so why not grab a few pretty books for some of the people on your list?! We’ve been doing a lot more reading lately here at SummerHouse! Because of all of the beautiful new books we have available at the store, our holiday reading lists (and wish lists!) have really grown! Who doesn’t enjoy a little light reading about design and southern culture… especially when gorgeous photography is involved?! We think these books would make great gifts for others, or great additions to your own libraries! In Decorating in Detail, Alexa shares the development process for eight elegant homes in locations from New York City to New Orleans. Walking readers through each room, she describes how she and the homeowners chose all of the elements, from textures to fabrics to furniture. Jan’s second book, Glamorous Retreats showcases the designer’s most luxurious interiors—beautiful vacation locales across North America and the Caribbean. For the first time, Aerin shares memories of the family celebrations and world travel that formed her sense of style. Aerin opens the doors to her New York apartment, where on any given night she might host a relaxed dinner with firends under a vintage French chandelier or, just as often, an impromptu get-together for her sons. Suzanne Kasler, best known for crafting beautifully sophisticated interiors with soft palettes, revisits some of her favorite projects, among them her own Federal-style home in Atlanta’s Buckhead neighborhood. Scattered throughout the text are useful tips, such as grouping similar objects to create more of a visual impact. Whether you live below the Mason Dixon Line or just wish you did, The Southerner’s Handbook is your guide to living the good life. Curated by the editors of the award-winning Garden & Gun magazine, this compilation of more than 100 instructional and narrative essays offers a comprehensive tutorial to modern-day life in the South. Thomas O’Brien’s newest book Aero celebrates 20 years of his famed Aero Design Studio as well as an intimate look at his design philosophy. From O’Brien’s vivid reminiscences about his early days in art school in Manhattan, to details of his personal residence and the development of his acclaimed studio and store, Aero covers the history and aesthetic of not only the Soho landmark but the man behind it. As our Week of Gifting wraps up, we bring you the sweetest of the sweet! Today’s gift guide is all about CANDY! Gourmet candy, that is! In the event that you’ve missed our other gift guides, be sure to check out GIFTS FOR HER, GIFTS FOR HIM, GIFTS FOR THE HOSTESS, and GIFTS UNDER $100! 1. Clear Stemless Bubble Glass Wine Glasses // $12 ea. In the event that you’ve missed our other gift guides, be sure to check out GIFTS FOR HER, GIFTS FOR HIM, and GIFTS FOR THE HOSTESS! Our Week of Gifting just keeps getting better and better! Today, we give you GIFTS FOR THE HOSTESS. Whether you’re going to a Christmas mixer, a dinner party, or staying overnight with some out-of-town family or friends, you’ll need to have some gifts in hand! With our unique little hostess gift collection, you’re sure to find some great ideas! 6. Malachite Champagne Glasses // $23 ea. 7. Malachite Drinking Glass // $23 ea.